Russia ranks low in new Transparency International corruption index | Russian Legal Information Agency (RAPSI). Global anti-corruption advocacy group Transparency International released on Wednesday its 2012 Corruption Perception Index (CPI of ranking), a raking of the world’s countries and territories based on perceived corruption within the public sector. The ranking is established according to a scale of zero to 100, 100 being perfection in anti-corruption terms, and zero being essentially disastrous corruption-wise. Two-thirds of the 176 countries assessed fell under the 50 mark, Russia included. The Corruption Perception Index 2012 is an aggregate calculated by way of data provided by various independent institutions specializing in governance and business climate analysis. The sources used to create the index are based on the perceptions of observers from across the globe, including experts based in the countries being assessed. In previous years, a given country’s corruption perception score was ranked relative to the scores of other countries. For 2012, Transparency International began using raw scores calculated from the available data, thus bringing greater transparency to the score calculation process. Director of Transparency International – Russia Elena Panfilova explained at the press-conference Wednesday that the methodological adjustments are very timely; many anti-corruption laws are only now taking effect. In her view, the new methodology will provide for better insight into the success of such implementation. Russia received a score of 28, thus ranking 133rd of the 176 countries considered. Russia wasn’t alone here, tying in fact with five other countries: Iran, Kazakhstan, Comoros, Guyana, and Honduras. For some perspective, this ranking places Russia slightly above Syria (26), which spent the whole of 2012 engulfed in a brutal civil war, but below Kosovo (34), whose prime minister has been implicated in an alleged organ-trafficking scheme currently under investigation. In fact, the Eastern Europe/Central Asia region has the world’s highest concentration of countries scoring lower than 50. 95% of the region’s countries fall under the mark. Within the region, Georgia has the highest score (52), and Turkmenistan and Uzbekistan – each with scores of 17 and ranking 170th in the world – hover at the bottom. Russia’s public sector has been plagued by several recent corruption scandals. Anatoly Serdyukov recently lost his position as Russian defense minister over a large-scale fraud linked to the ministry. It was announced in October that five fraud cases had been initiated based on sales of property, land, and shares belonging to Oboronservis, a holding company under the ministry’s control with its fingers in a number of pies, from cartography to military housing. Federal investigators subsequently announced that damages in the Oboronservis cases amounted to more than $216 million (6.7 billion rubles). The specifics of the link between the ministry and Oboronservis are still being worked out, but according to investigators, ministry officials bought and invested in commercially attractive properties – including in Moscow’s center – which were later resold at inexplicably low prices, begging questions of kickbacks and insider sales. President Vladimir Putin explained his decision to relieve Serdyukov on the basis of impartiality in criminal investigations concerning the ministry. In late November, former head of the ministry’s property relations department Yevgenia Vasilyeva was charged with involvement in the embezzlement of $11,560 (360 million rubles) worth of assets belonging to Oboronservis subsidiaries. Another former minister became embroiled in scandal in late November when a state-run television network aired a documentary linking her to the embezzlement of $1.3 billion (39 billion rubles). The Rossia 1 documentary accused former agricultural minister Yelena Skrynnik of having embezzled state funds while heading Rosagrolizing, Russia’s largest state-run agro-industrial leasing company, a position she held prior to taking official office. Skrynnik served as head of Rosagrolizing from 2001 to 2009, and then as minister of agriculture from 2009 until last May. She presently serves as an aide to President Putin on agricultural policy. The documentary alleged that the embezzled funds were written off as debts accrued by agricultural enterprises for leasing equipment. Skrynnik in turn threatened to sue Rossia 1 for defamation. 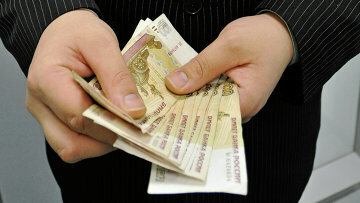 Speaking to the point of corruption in Russia, Panfilova emphasized the imperative of fighting corruption at its roots. She suggested that a public auditing mechanism could prove invaluable, suggesting that the experts from Open Government Partnership would be well equipped for the task. Open Government Partnership is an international initiative aimed at improving governmental transparency, effectiveness, and accountability around the world. Its recent successes in Russia include proposing that judges should be required to report on all attempts to sway their opinions or otherwise exert pressure. Prime Minister Dmitry Medvedev, who has long championed legal reform in Russia, welcomed these proposals. The most successful region in the world in CPI terms is the European Union/Western Europe, where only 23% of countries fall under the 50 mark. Denmark, Finland, and New Zealand are the champions of the index. Each scored 90, resulting in a three-way tie for top slot of the index. The next most corrupt region after Eastern Europe/Central Asia is Sub-Saharan Africa, where 90% of countries and territories fall under the 50 mark. Botswana takes the regional lead, with a score of 65, and Somalia takes up the rear, with a score of eight. Countries at the top of the ranking tended to have in common: transparent and responsive public sectors, strong institutions, and reliable methods of holding public officials accountable for their actions. Countries with lower scores suffered from a myriad of issues.